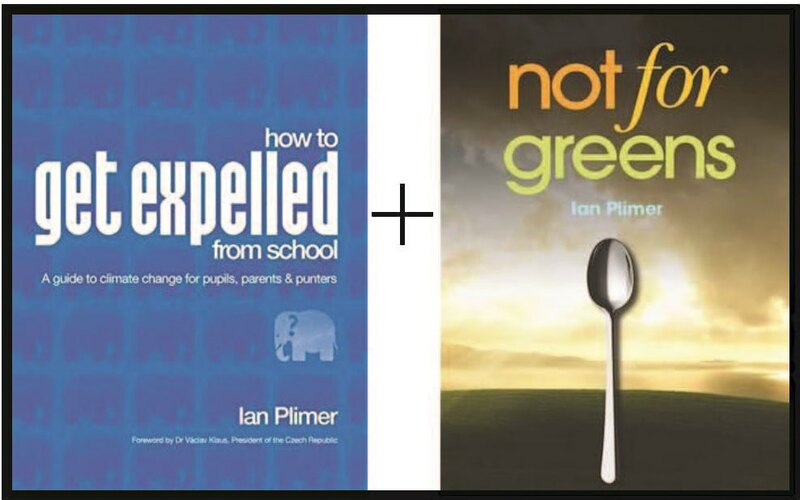 Special Offers - Two of Ian Plimer's finest books. The processes required to make a humble stainless steel teaspoon are remarkably complicated and every stage involves risk, coal, energy, capital, international trade and finance. Stainless steel cutlery has taken thousands of years of experimentation and knowledge to evolve and the end result is that we can eat without killing ourselves with bacteria. We are in the best times to have ever lived on planet Earth and the future will only be better. All this we take for granted. Greens may have started as genuine environmentalists. Much of the green movement has now morphed into an unelected extremist political pressure group accountable to no one. Greens create problems, many of which are concocted, and provide no solutions because of a lack of basic knowledge. 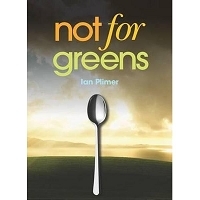 This book examines green policies in the light of established knowledge and shows that they are unrealistic. Policies by greens adopted by supine governments have resulted in rising costs, increased taxes, political instability, energy poverty, decreased longevity and environmental degradation and they don’t achieve their ideological aims. Wind, solar and biomass energy emit more carbon dioxide than they save and reduction of carbon dioxide emissions does nothing to change climate and only empties the pocket. No stainless steel teaspoon could be made using green “alternative energy”. 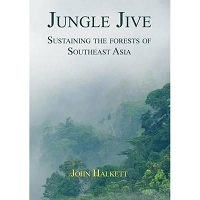 This book argues that unless the greens live sustainably in caves in the forest and use no trappings of the modern world, then they should be regarded as hypocrites and treated with the disdain they deserve. Are pupils, parents and the public being fed political propaganda on climate change? Now is your chance to find out. Professor Plimer gives 101 simple questions with answers for you to ask teachers, activists, journalists and politicians. The climate industry adjusts the temperature record and withholds raw data, computer codes and information from scrutiny. Computer predictions of a scary future don’t agree with measurements. Past natural climate changes have been larger and more rapid than the worst case predictions yet humans adapted. Is human-induced global warming the biggest financial and scientific scam in history? If it is, we will pay dearly.